Last month I jumped out of a plane and plummeted to the ground with my best friend. This week I jump onto a plane which will safely take me to a place without any friends. I’m not sure which is more terrifying. 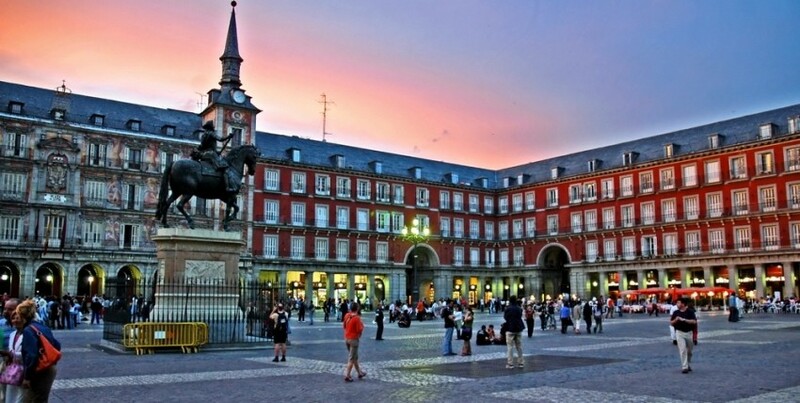 I’m moving to Madrid to study my third year of electrical engineering at the Universidad de Carlos III, Madrid (Charles University). All my classes are in Spanish! How did this happen? My course was advertised as bilingual, meaning half my classes would be in English and the other half in Spanish. I thought that would be alright – bit of a challenge, but doable. So I signed up and shortly after, I found out that the Spanish definition of bilingual is the first two years are all in English, and the second two years are all in Spanish. I’m doing my third year. Sly Spanish dogs! Since all my classes are in Spanish, I’ve decided to fully immerse myself in Spanish life and avoid international student halls, living with normal Spaniards instead. This means I’ve only got hostel accommodation booked for one week, and I plan to find a house during that time. Most people I tell this to react with a sort of pained face that says, “Ahh Mark… You’re an idiot.” But hopefully it works out. I’m going to miss my family and friends tremendously. At the same time, I know this experience will be really enriching for my life and career, and I hope that you will be able to visit me in Madrid! If not, I hope to share with you my experiences on this blog. (I did a short course in WordPress design so hopefully it’s not too rubbish.) I’ll keep it updated throughout the year with my stories and photos. Hope you liked my first weblog post! Scary stuff Mark – the classes in Spanish that is. Good luck. Lots of hard work ahead for you but lots of fun and amazing experiences too no doubt. I look forward to reading your blog. Also look forward to visiting you in Spain/ catching up in London. Thanks Aunty G! Look forward to seeing you too! Oh Silver Duck Quack – it’s good to see you commenting on blogs again. Mark that was hilarious and interesting! I can’t wait to read all of your adventures. Have fun!